Get an early taste of the future of digital Magic by jumping into the open PC beta of Magic: The Gathering Arena. Wizards of the Coast is back at it again, this time with a fresh new experience for Magic: The Gathering Fans. 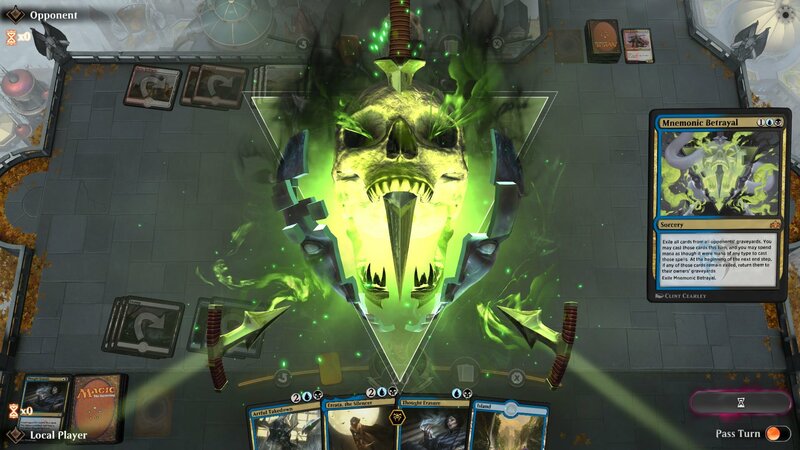 The latest PC entry to the series, Magic: The Gathering Arena, is soon to make its release, and players hoping to jump in and get an early taste of the action can do so thanks to the open beta test that is now live. Magic: The Gathering Arena takes the familiar strategic Magic formula and gives it a distinctly competitive twist in fast-paced head-to-head battles. The PC open beta will allow players to check out the Guilds of Ravnica card set and the Singleton constructed event, plus get an early peek at the new 40-card sealed format. Speaking in a press release for the game, Vice President of Digital Development for Wizards of the Coast Jeffrey Steefel said Arena is paving the way for the future of Magic-based gaming. Card game fans can jump in on the Magic: The Gathering Arena open PC beta test by heading over to the official Magic: The Gathering Arena website. For all the latest PC gaming coverage, keep it tuned right here to Shacknews. I’m am excited to play sealed Guilds of Ravnica this weekend! $10 does feel a little steep with no trading, but it’s a good amount of entertainment.